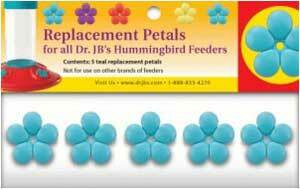 The Dr JBs hummingbird feeder replacement port flowers are available in 5 packs of red, yellow, teal, purple and a multi-color pack of 20. Note: These do not fit on the Perky Pet Hummingbird Feeders and are not to be confused with item PP202F Small Yellow Flowers. 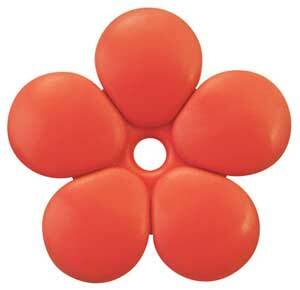 Red Replacement Flowers 5 pack. Replacement petals for the Dr. JB Hummingbird Feeders. Purple Replacement Flowers 5 pack. 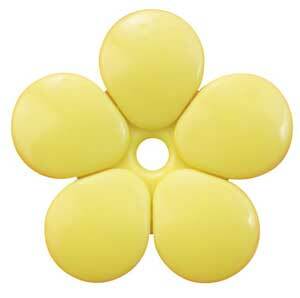 Replacement petals for the Dr. JB Hummingbird Feeders. Teal Replacement Flowers 5 pack. 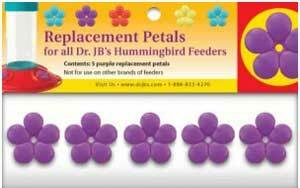 Replacement petals for the Dr. JB Hummingbird Feeders. 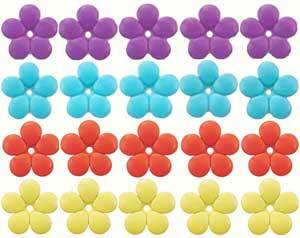 Pack contains 20 total replacement flowers (5 each of red, purple, yellow & teal).